There are a lot of mobile phone models that may be integrated into existing business phone systems. All small business owners need now is to be able to identify the perfect mobile phone application for their needs so they can start using it for making calls without having to use their carrier services. All they will need is a WiFi connection and they will be able to make as many calls as they can, to anywhere around the globe. 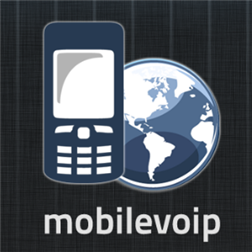 MobileVoIP may be used in different phone brands including iPhones, Symbian, Windows Phones, and Android Phones. This application may be downloaded for free. VoIP calls may be made using WiFi connection or 3G connection. It has a Call Back feature which may be used in case of weak WiFi connection. Another feature is a Local Access wherein calls made to local numbers when the WiFi connection is weak will be charged just like how a local call should be charged even though you are using your mobile device. Credits may be bought in advance. 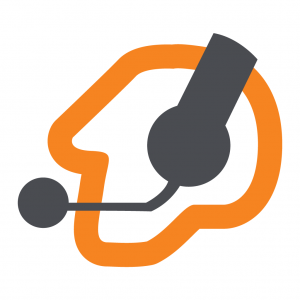 This application allows the unlimited use of free vox to vox calls. It also boasts of having the lowest rates in placing calls for different countries such as India, Pakistan, United Kingdom, Mexico, Vietnam, and Brazil. This is an Android app that requires at least version 2.0. It may be downloaded for free. 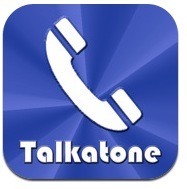 This app is available for iPhones and Android phones. It allows these mobile phone units to function just like how a landline would. It allows small business owners to place calls even in unstable coverage and to make cheap international calls which is very beneficial especially when one is travelling. It works with Google Voice for higher audio quality and free US and Canada calls. This application can call mobile phones and landlines that do not need to have the application too unlike its competitors. Its official website offers a comprehensive FAQ page in case small business owners will need more information, instruction, or assistance. This may also be used in iPad but is optimized for iPhone 5 use. iCall features free phone calls, free video chat, and free text messages. iCall is available in desktop, mobile, and web. It features high definition voice and video calling and comes in two types of plan. The first plan is Free Calling which includes Unlimited US and Canada calls with five-minute limit for each call, and a personalized phone number at a low cost. It has voicemail, call routing, low international rates, and free directory assistance. The other plan is called Total Access at $9.95 per month. It includes everything in the Free Calling plan plus unlimited call length, ad-free calling, free personal number, a customizable voicemail, call routing, even lower international call rate, and free directory assistance. Aside from mobile devices, Zoiper is also available in desktop computers and the web. It may be used for making audio and video calls, sending and receiving fax messages, chatting, and sharing. It is free to try. The cost depends on the number of devices that will be using the application. One device costs €33.10, 2-9 unit of devices costs €27.25, 10-49 units of devices cost €23.55, 20-99 units of devices cost €20.60 and 100-199 units of devices cost €19.15. Zoiper mobile is available for download on the App Store for iPhone, iPad, and iPad Touch, on Google Play for Android 2.1 and above, and on the Microsoft Store for Windows Mobile 6 and above. These applications will surely help small business owners save money that may be used in other endeavors. They just need to assess the needs of the business and the practicality of such acquisition since most of these are not for free.